We're already 3 weeks into school, and I'm looking for new ways to make Chica's lunches more exciting. Gone are the days of the 3-year old who is happy with PB & J every day. Oh, no. My growing 7-year old desires a little culinary creativity for her mid-day meal. Or, rather, for Mom to get out of the peanut butter sandwich rut. Pinterest is a wealth of ideas, and I'm trying new things each week. For moms who want to shake up the boring lunch routine, it's important to be prepped with the proper equipment. 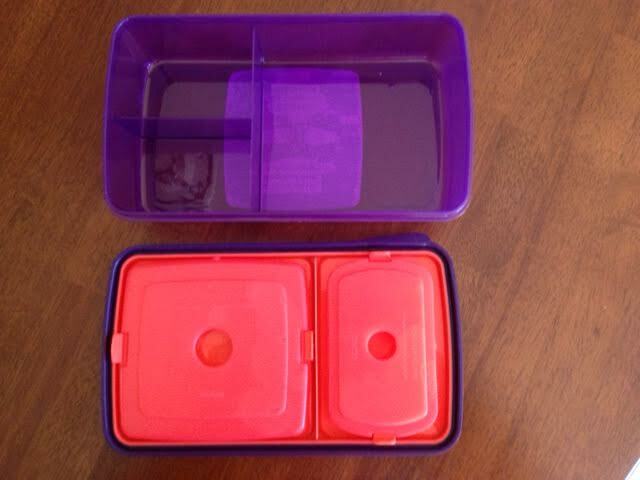 Namely, lunch box containers. 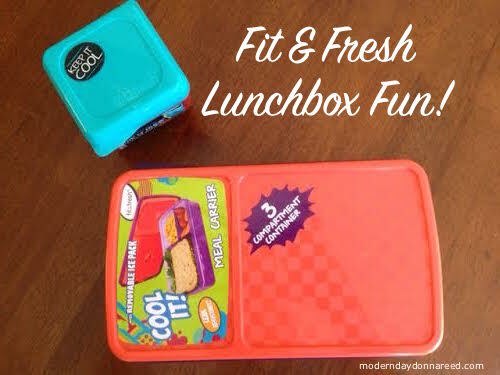 I've really been digging the Fit & Fresh line of lunch box products. 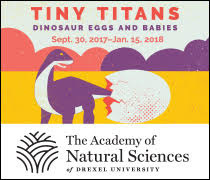 One, they are durable. They stand up to the Backpack Gauntlet of being tossed, kicked, knocked and bumped to and from school. Two, they are leak-proof. If anyone has ever had to deal with a soggy homework folder or a ruined picture from art due to a leaky lunchbox, you know the weight of this. Three, they are BPA free. Lastly, the come in awesome colors, which makes lunch fun and exciting! 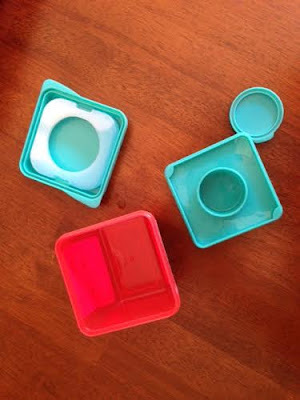 Having little containers helps me as the Mom breakout of my square sandwich mindset (pun intended). When I have little divided spaces to fill, my imagination kicks in to find fun ways to fill them. Hummus and carrots? Awesome! Make your own pizza? Bring it on! 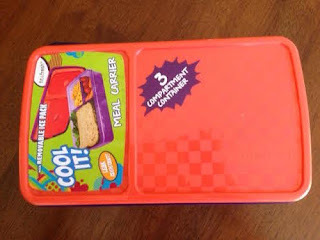 The whole lunch fits safely into this container, with dividers to keep your child's sandwich and two snacks separately. It will all stay chilled with the two ice packs that can be snapped into the lid. As always the container is BPA free and the ice pack is non-toxic. The meal carrier features a newly designed soft TPE lip that makes the container easier to open and close for your child! No more squished lunches! Fruits and vegetables are fresh and fun again with the Dip N' Dunk. Let that carrot take a dip in a cool pool of hummus! Perfectly portioned servings of vegetables are a tasty treat when dipped, dunked and munched! With its snap-in ice pack and leak resistant lid - the sky's the limit on fun and healthy eating! 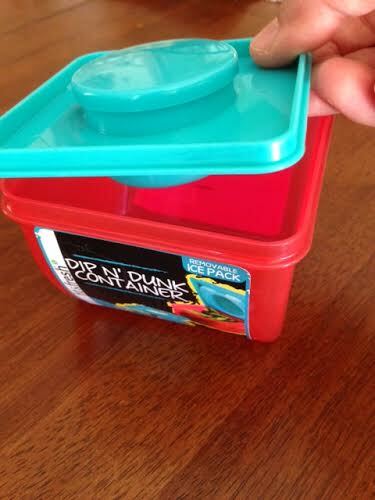 Container holds 1 cup of fruits or veggies, and inner tray holds 2 tablespoons of dip. Check out the whole Fit & Fresh line - and happy lunching!